Map showing approximate locations of incidents. NORTH CENTER — Police are investigating the armed robbery of a woman near Cornelia and Leavitt early today. The victim was approached by two offenders when one of them pulled out a handgun and announced the robbery around 1:10 a.m. The men took the woman’s purse and fled northbound in the alley behind Leavitt, according to the victim. She said the robbers were two black men between 18- and 25-years-old who were wearing jeans. One had dreadlocks and the other wore a gray hoodie. LAKEVIEW — While most of us have had packages go missing from our front door, a Lakeview woman yesterday had the opposite experience: A box was on her porch and she didn’t order it. After opening the box, the woman called police to report that there was a vacuum-sealed pouch inside that she believed to contain marijuana. Officers responded to her home in the 400 block of West Aldine and confirmed that she had received “a large quantity of narcotics." Postal inspectors and Chicago police are handling the matter. LOOP — A group of college students was robbed on its way to class in the Loop on Monday afternoon. Police said the victims were jumped near Michigan and Van Buren by a group of offenders around 2:45 p.m. The offenders escaped with one victim’s green and black Samsonite-brand backpack, according to police. Descriptions were available for two of the suspects: One is a black male between 18- and 25-years-old who is slender, has a fade haircut, and was wearing a light blue shirt with red Timberland boots. The other is a heavyset black male between 18- and 25-years-old who was wearing a red jacket. 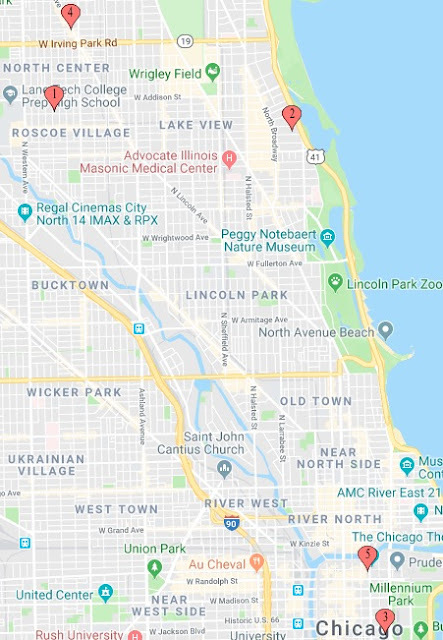 NORTH CENTER — The burglar who has been targeting ATMs around the Boystown neighborhood may have moved to North Center this week. Investigators are looking into the burglary of a liquor store in the 4000 block of North Lincoln that was discovered Tuesday afternoon. The store’s rear door had been pried open and two ATMs were struck, including one that serves the public through the storefront. Two storefront ATMs were burglarized in Boystown on Friday. A total of four ATMs have been struck in East Lakeview since mid-April, according to police. 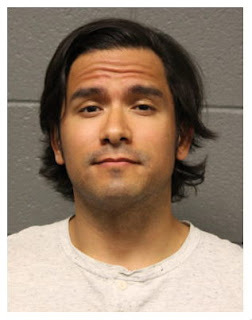 LOOP — A Chicago Lawn man was arrested after he forced his way into a TV station’s employee entrance while claiming to be in love with a local TV personality, police said. Vincent Liceaga, 33, was arrested at the ABC7 studios, 190 North State, late last Thursday. As a security guard opened the station door to allow a reporter out, Liceaga allegedly pushed his way into the station “in an aggressive manner” and tried to “engage and make contact with” the reporter, according to prosecutors. While police were handcuffing Liceaga he allegedly “claimed he and the victim were in love and emailing one another.” The victim denied ever seeing or having contact with Liceaga. A station security guard told police that he saw Liceaga loitering outside the station and other employees reported seeing him behaving strangely on numerous occasions, police said. Liceaga was charged with assault. He was released on a recognizance bond without appearing before a judge, according to court records. Please support our efforts to uncover original news in Chicago. Subscribe or donate an amount of your choosing today. Thank you!